What to See In Pioche! Pioche is Nevada’s most notorious (and liveliest) ghost town. Tucked high in the mountains on U.S. 93, it’s your gateway to Echo Canyon and Spring Valley State Parks, where you can camp, boat, fish, view wildlife via the Mount Wilson Backcountry Byway or hit one of the trailheads of the Silver State ATV Trail. 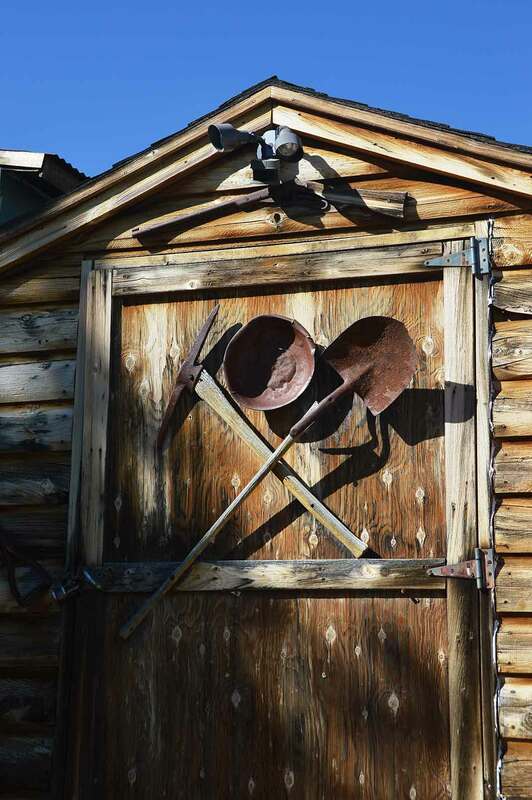 But for a different kind of adventure, you may want to journey into Pioche’s history. It was a silver mining boomtown in the 1800s, famous for its rowdy, gun-slinging, lawless crowd. Outlaws, bandits and shootouts claimed the lives of 72 people in the town before a single resident died of natural causes. You can glimpse this wild past at “Boot Hill,” a sectioned-off part of the town’s cemetery where outlaws were buried separately from respectable folk. You can also tour the original town jail, with 16-inch walls and windows so small daylight barely seeps in. This jail is part of the “Million-Dollar Courthouse,” so-called because of its exorbitant cost due to political interference, rumors of bribery and longstanding interest payments. There’s more history to sample on Main Street, where you’ll find the Lincoln County Museum. It’s full of relics from the town’s rich past, along with an extensive mineral display mined from nearby ore deposits. The town park features a railroad engine that was originally used to help haul mining equipment. And historic buildings like the 1873 opera house, 1895 Mountain View Hotel and the 1912-era school building give you a sense of the original wild West – with none of the danger.